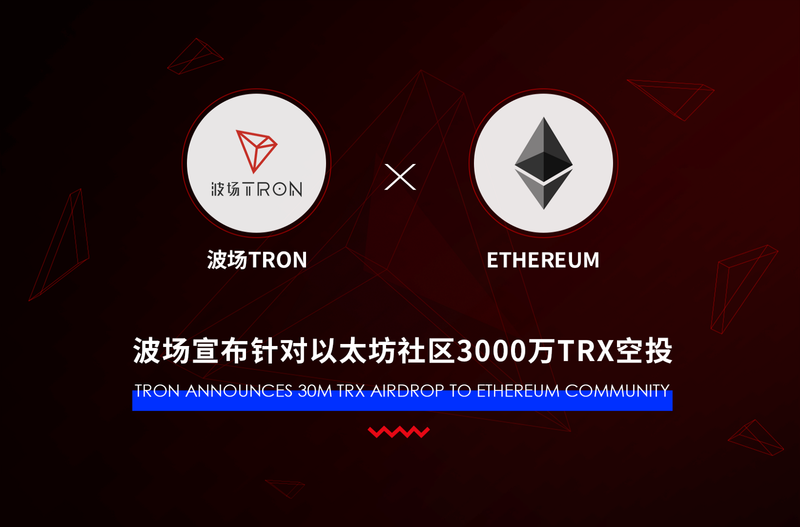 TRON will airdrop 30M TRX to the Ethereum community as a show of our gratitude towards Ethereum for their support during TRON’s ERC20 phase, in addition to preparing for the Super Representative Elections after mainnet launch. TRON will airdrop 30M TRX (equivalent to approx. USD$1.7M) to active user with a balance of over 1 ETH after January 1,2018. Each account will receive random TRX (an amount between 10 TRX — 100 TRX will be randomly selected for each user). Ethereum played a vital role in TRON’s early stage development, and we want to express our appreciation through this airdrop event. However, we have also discovered many issues and bottlenecks during our time on the Ethereum platform. When we see a problem — we will set out to solve it. That is why TRON wants to provide TRX to the Ethereum community, so people have a chance to experience our high TPS development platform and use TRX to vote, becoming part of our new generation decentralized network and the TRON democracy. 1. Any account on the public blockchain that transfers or receives ETH from Jan-01–2018 00:00:02 AM +UTC — April 20, 2018 00:00:04 +UTC (block 4832686 to block 5471198). 2. Account has an ETH balance of over 1 on April 20, 2018 at 00:00:04 +UTC (block 5471198). We expect to complete data collection within one week and will distribute TRX shortly after. Please note! The TRON team will handle all processes for the airdrop event. We do not require any action from Ethereum users. TRON will not solicit users for tokens or addresses for ANY reason. If you encounter this type of suspicious activity, please contact customer service immediately at service@tron.network https://twitter.com/Tronfoundation to avoid any financial losses.